Canada first established a Parachute Battery in 1949 in Shilo. It was initially equipped with the M1 75mm Pack Howitzer and the British 4.2″ Smooth Bore (4.2″ SB) Mortar. 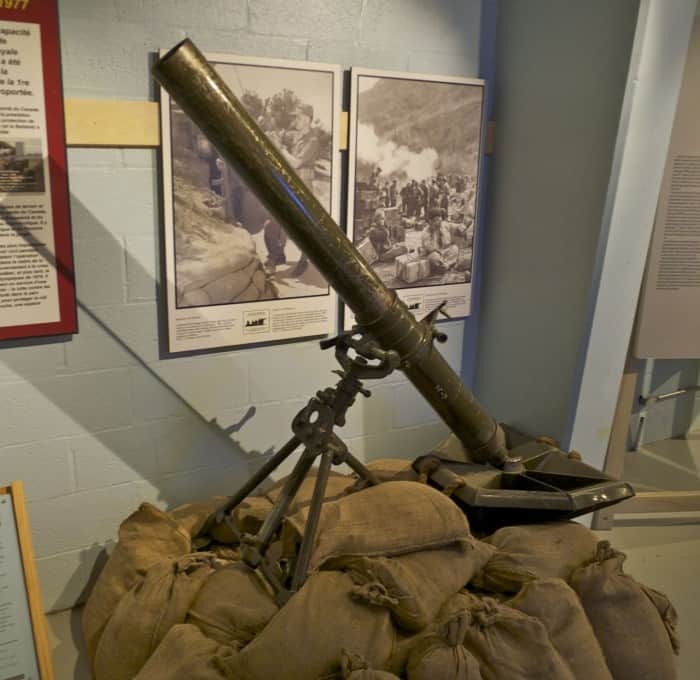 The 4.2 Inch SB Mortor went out of service in 1950 and replaced by the two models, including the M30 4.2″ Rifled Mortar.